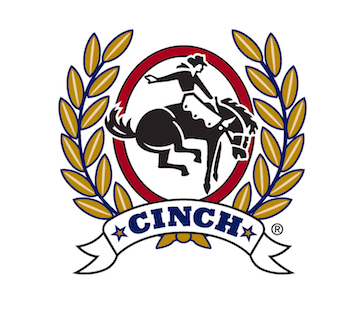 The National Snaffle Bit Association is pleased to announce CINCH as the latest Corporate Partner to join the NSBA team and the Official Jean of the National Snaffle Bit Association. The CINCH tagline, “Lead Don’t Follow” is symbolic of both CINCH and NSBA’s approach to the equine community. NSBA has shown itself to be a leader in creating programs that benefit stakeholders from every aspect of the equine community. Part of that innovation will be seen during the 2019 NSBA World Championship Show with a special event sponsored by CINCH. The CINCH sponsored First 2 Finish Trail Duel is a competitive head-to-head trail class that pits riders against each other in a race over trail obstacles where only knockdowns and time matters. Competition will be held during the event held from August 9-18, 2019 in Tulsa, Oklahoma. In addition, CINCH is the proud sponsor of the NSBYA Denim Drive held at various shows throughout the country to collect used denim to donate to local shelters. “We are committed to growing the show horse community and continue to raise the bar at our event. The partnership with CINCH allows us to do both and we are excited to bring the benefits of this partnership to our NSBA members,” said Dianne Eppers, NSBA Executive Director. About Cinch Jeans & Shirts: LEAD, DON'T FOLLOW. Since 1996, the Cinch Clothing brand has been creating quality jeans and shirts for both in and out of the arena. Some of the best athletes from the rodeo, equine communities love Cinch jeans and shirts because of the quality fit and the authentic western look. From collared shirts with short sleeves or long sleeves to outerwear and athletic gear to fashion-forward western jeans, the Cinch brand puts fit and styling first. Whether fashion basics or premium styles, the designs and reputation of Cinch Jeans make Cinch Clothing the number one choice for those, who live and breathe the western way of life. Visit CINCH online at www.cinchjeans.com. Established in 1983, the National Snaffle Bit Association has expanded from its roots of the pleasure horse to recognize various disciplines and eight breed associations in competition. NSBA’s mission is to grow the show horse community through various equine programs and events where every activity benefits horses, breeders, owners and exhibitors alike.